A monthly periodical that published articles on literature, poetry and antiquarianism. 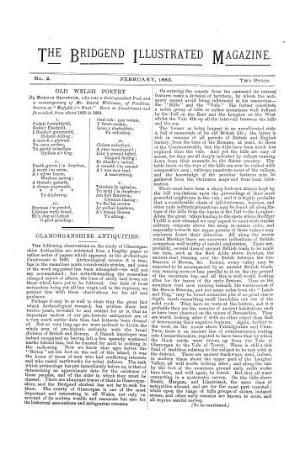 The periodical was edited by John Hemming, who was also responsible for editing, publishing and printing the Central Glamorgan Gazette. The Monthly Illustrated Journal was included as an inset to the periodical. Associated titles: The Bridgend (and Central Glamorgan) Illustrated Magazine (1883); The Monthly Illustrated Journal.